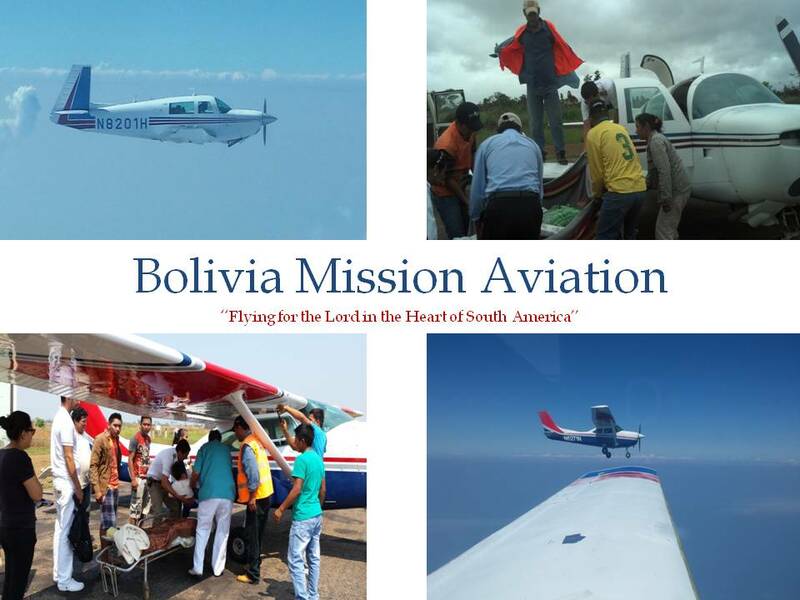 Bolivia Mission Aviation: Not your grandparent’s missionary pilot! Not your grandparent’s missionary pilot! As I drive on the twisting mountain highway in Tennessee, on my way to pick up the airplane in Collegedale for a flight to Bolivia, I can’t help but wonder in amazement of what I’m about to embark on. You see, not long ago missionary pilots flew their small single engine airplanes in rough places around the world. They were usually stationed in remote areas with a territory to cover, but usually ended up in their homes that same evening. Missionary flying has always been full of challenges, no matter where you fly. But as I entered this world of service, missionary flying had taken a whole new route. “International missionary pilot,” the words seem a little out of place. Sure, missionary pilots have been flying their small airplanes to distant lands for a long time, dangerous ferry flights that required lots of fuel to get a small airplane over vast expanses of water and jungle, requiring days if not weeks before reaching their destinations. But, I’m talking about something much different here. I’m talking about a way of doing the Lord’s work that was unheard of, a way of using airplanes to carry supplies back and forth like never before. Flying for Gospel Ministries International, we have made these otherwise harrowing flights almost a mundane occurrence. About every couple of months a flight departs Collegedale TN, for South America, loaded with high value cargo. The flights are usually accomplished in a Piper Aerostar or Twin Comanche, and soon a Cessna 340. These twin engine aircraft have the range and reliability to make the flights much less stressful on the pilot. And with the addition of the Cessna 340, a pressurized cabin and turbo charged engines for even better performance and safety. But none of this matters is you don’t have the right people. You need dedicated individuals who take flying seriously and have the experience to share with others. Pilots like David Gates, who pioneered flying in and out of South America, discovering the best routes and airports to land at, dealing with permissions, customs and immigration for every country on the route, knowing where to buy fuel and where not to buy. Small mistakes can quickly get expensive if you don’t know how to play the game. All of this information gets passed down to each pilot who makes these flights. This is not to say that the variables never change. On almost every flight a new problem can arise, from aircraft breaking thousands of miles from your home base, to waiting for permission to enter the next country on your route. Maybe sleeping under the wing of the airplane because you’d rather wait for better weather or more rest, your choice. Autopilot not working and now you got to hand fly for thousands of miles at night with no horizon. Hard decisions of taking or not passengers, if they can even fit! The variables are unending and require good judgment and a great deal of patience. You learn to cope with these things and you move forward trusting the Lord will work it out. After all, you are flying His airplane, and you are His pilot. So, with a boss who owns the universe, that knows how everything works, and has unlimited resources, how can you doubt for a second that he is not in control? I quickly load the Twin Comanche in Collegedale, call the weather briefer and file my flight plan. The briefer asks me what my final destination is. “Bolivia, South America,” I reply, sounding as confidant as I can. “That’s a pretty long ways,” he says to me. I can’t help but smile as I thank him and hang up. It’s just another flight to South America and another new adventure as the Lord’s pilot! This was an excellent write up. Good luck man and keep up the good work. This was really well written. Thanks for sharing. Isn't it great working for the the guy who owns the universe? That way we don't have to worry about anything. Thank you guys. We all work for an incredible boss!